Free printables to help you organize small business taxes. 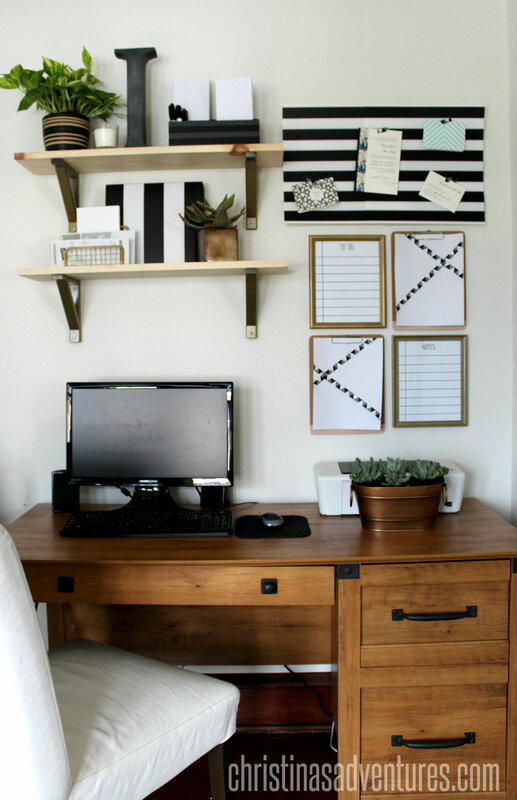 These simple and practical ideas will help to make your tax season less stressful and keep your self employment tax documents organized for the year. 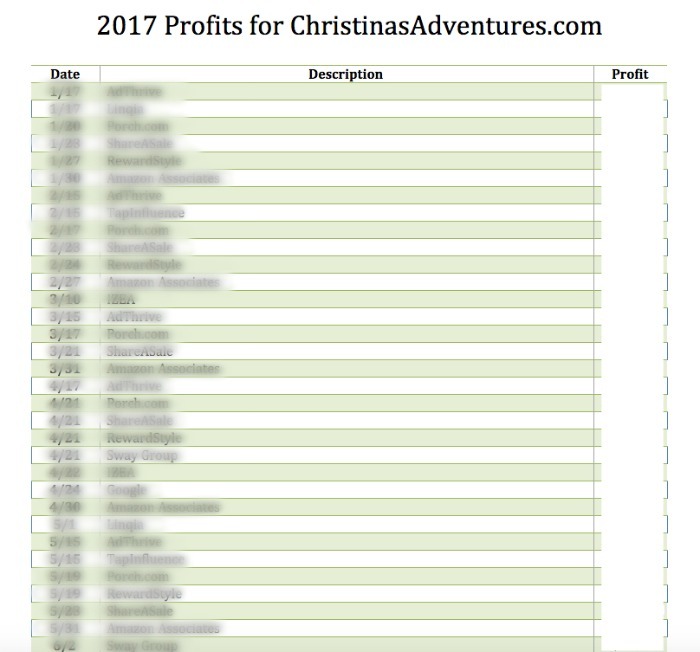 This post contains affiliate links – full disclosure here.In our economy today, many people are beginning to find non-traditional means for making income. It’s so easy to get stressed during tax season if you haven’t organized your records. My CPA loves me – he was so excited to see my detailed records when we went to his office a few years ago. He said that when he hears someone is self-employed he gets a sick feeling in his stomach because 90% of the time they do not keep accurate records. If you do not organize small business taxes properly and you get audited, you’re in serious trouble. So let’s make sure that never happens! Call me old fashioned, but I still keep the paper copies. Someday, I’d love one of these electronic receipt filers – would really help with keeping things digitally organized. Ideally – you will organize these at least once a month. But sometimes it doesn’t happen for a few months, and that’s OK as long as you can carve out some time to organize them all together. 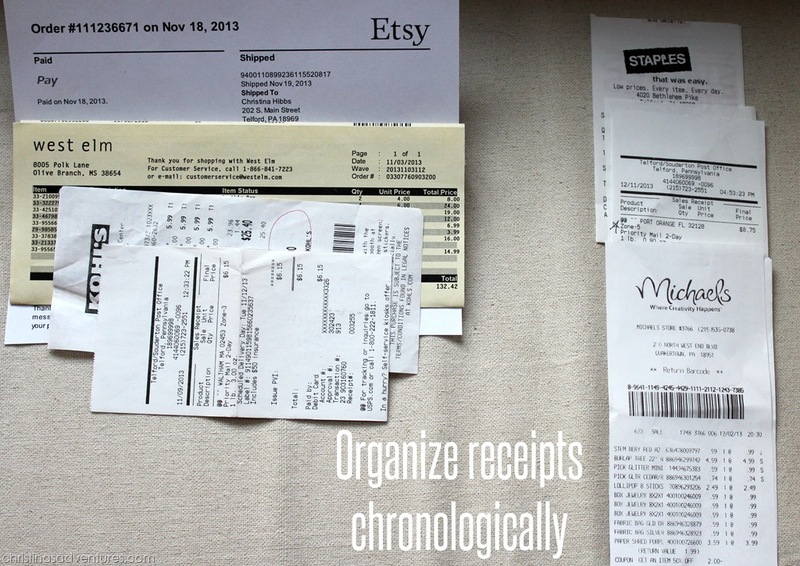 Take those receipts that you’ve stored in one spot and spread them out on a large surface. Then organize them by date (oldest to newest). 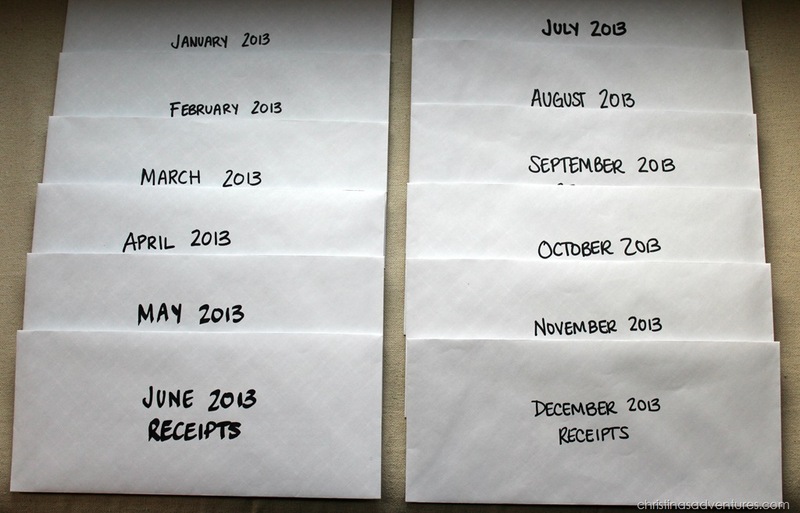 If you have a few months worth of receipts, then organize them by month first, and then by date. 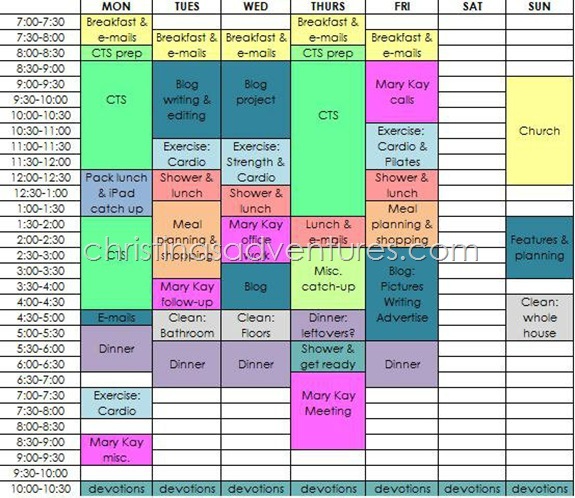 Once you have all of those organized by date, you can start inputting them into the computer. Now if you’re fortunate enough to have the money for one, this is where one of these machines would really be helpful. 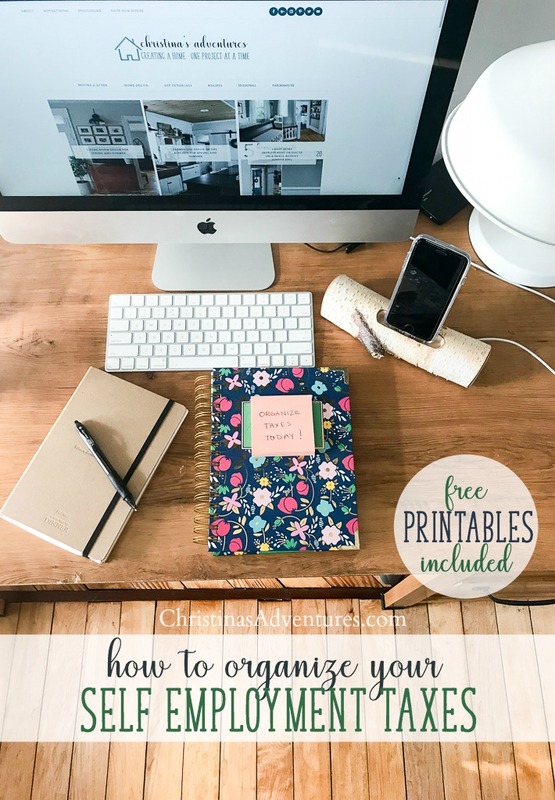 But you don’t need to have fancy equipment to stay organized -Word documents can do the same thing! I used to just have them in boring black and white tables, but I made them pretty to share with all of you! 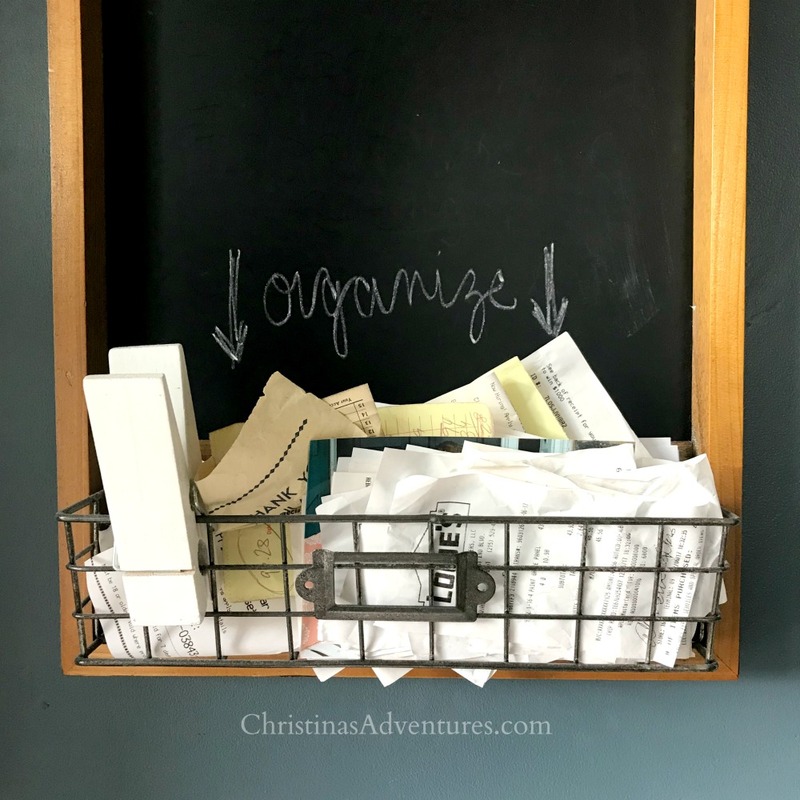 Pretty organization seriously gets me excited – anyone else? UPDATED TO ADD: I’ve had a LOT of questions about how I earn money blogging – here’s a post with ALL the details! I am NOT a professional and I am not giving you advice on what you can/cannot write off on your taxes. It’s important to work with a CPA who can guide you in the best direction when preparing your self employment taxes. Here’s another good article about the things you can write off when you’re self employed. Have fun with these! I know your accountant will be excited to see how you’ve organized your small business taxes this year! These printables are not able to be customized, and are only able to be printed out and written on by hand. If you would like a digital download (in Microsoft Word) I sell them for a very inexpensive fee through Etsy. If you found this post helpful with tips to organize small business taxes, please pin it here to share with others & save for later! If I knew where you lived I would come to your house and give you a huge Hug!!! This is my biggest concern or headache trying to figure out the best way to organize. I think my headache just ended. Thank YOu!! I have to leave a comment so that others do not get information that can be misleading. When you mention deducting “professional appearance” (you can write off your work clothes when you’re self employed!) I have to disagree with you. You can only deduct work clothing if it has your company logo on it, and therefore cannot possibly be used for any other purpose. Not entirely true. You can deduct a certain percentage of yoru clothing needed for work (let’s say you need certain clothing items like black shoes but you will wear them elsewhere). You can deduct the percentage you wear them for your business. Let’s say you do some contracting work as a land surveyor, but need to buy a really sturdy winter coat because 5 hours in Alaskan winters demands a new coat. BUT, you intend to wear said coat out and about as well, since you did pay $200 for it. You have to estimate the amount of time you spend wearing it at work (let’s say 70%) vs. how much you wear it around town (30%). You cannot write off 100% of the coat, but you can write off 70% of it. The only exception being if you are required, as a W-2 employee, to buy certain things for work out of your own pocket–like a nurse needs scrubs or a certain, specified, shoe. Then it’s 100% because it’s required by the employer. Seriously–I have never heard that “only if your logo is on it” nonsense before–and have been in business for a long time (either my parents’ company as a kid, my former jobs, or my own company now). Hubby has owned a company 5 years now and mine is pushing 2 years. Our accountant needed ALL clothing receipts, and the above is what she explained to me. NOTHING we own in clothing has our logos on it but we can still write it off. 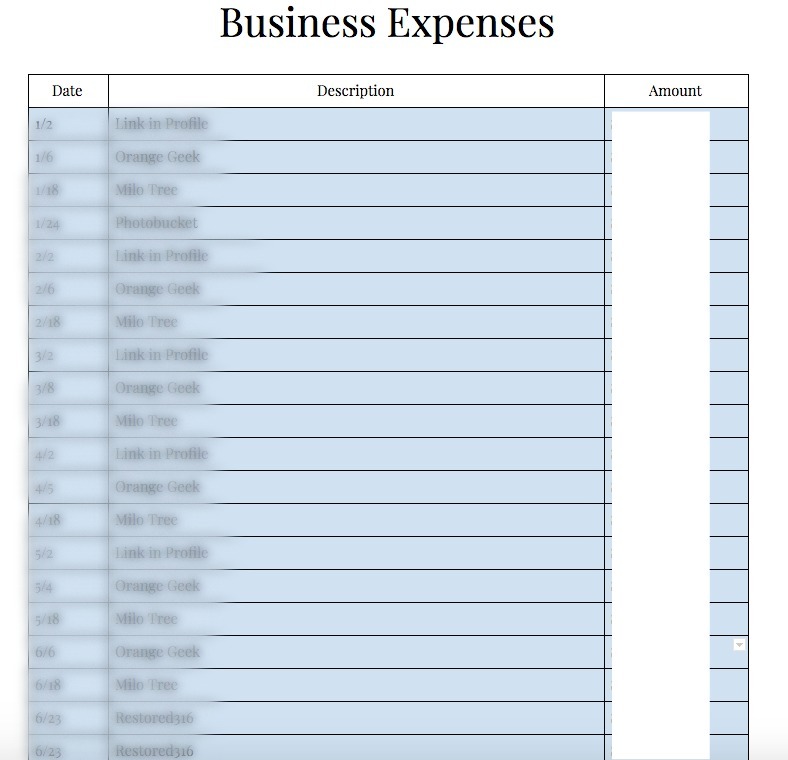 Thank you, I have been searching for a good way to organize my expenses. I think I will give this a try. I might try to get it to work in excel so the page can do the math for me. Fantastic post. Thank you so much, especially for the free printables. I’ve added your link to my Facebook page for my readers to get to know you. I hope that’s ok? Would you mind if I added this to my blog (it’s on my website), giving you the credits and links etc? I can’t thank you enough! The whole reason my craft business idea has been on hold is because I did not know how to organize & keep records for my taxes. “Thank you SO MUCH!” for this information & for the charts! Wow! I can finally get on with it, solely because of your help. Thanks! Janice – you made my day!!! I’m SO glad you’re able to use this information & the printables 🙂 🙂 🙂 Best of luck with your craft business!!! I needed this, perfect timing. Thanks for the resource. Hi Christina! I am doing my taxes for the first time this year! 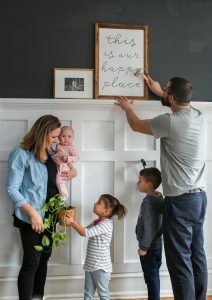 I love this post and printables I decided to make a Pinterest Board and a round up and I included this post! I hope that is ok! If not let me know and I will remove it! This is so helpful. I would like to take my blogging to the next level and possibly turn it into a business. Do you mind my asking what type of organization is your business set up as, a sole proprietorship or LLC? The other thing I am not sure of is that I review books mostly. Do I need to include them in income? And is that when I receive it or when I actually post the review and have earned it? Thanks for any help you can offer. I think she is making money with affiliate marketing. Are these free tax write off printables still available? 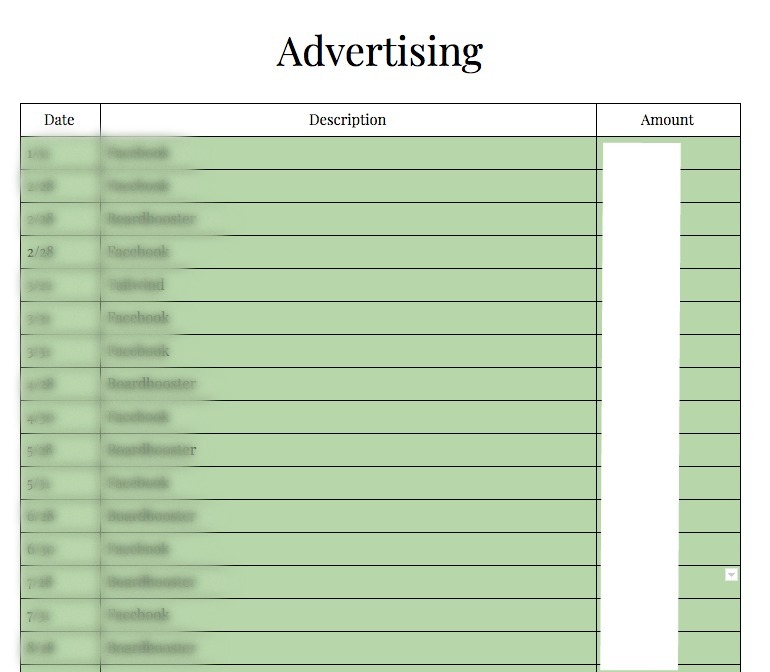 LOVE these spreadsheets so much! Thank you thank you thank you! I love organizing but not with things like this. You’re a lifesaver for a new blogger!